It was in 1975 when Ford introduced the nation to the F-150. As the decades have passed, the truck has gained a reputation for being a reliable companion for doing the toughest jobs. 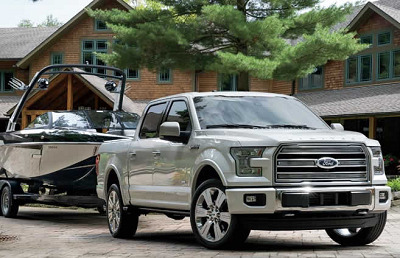 Now, the 2016 Ford F-150 in El Paso is more than just a work truck, but it’s also built for fun and more. Fortunately, this truck is available for a test drive at a reliable El Paso Ford dealership. No matter how demanding your job can get, you can be sure that the 2016 Ford F-150 in El Paso can take on the challenge. The body is built from high-strength aluminum alloy that is military-grade, and it lightens the curb weight of the truck by up to 700 pounds compared to the 2015 model. It’s spacious bed can lift a maximum payload of up to 3,720 pounds. If you need to tow larger items like trailers or boats, this truck can lug 12,200 pounds without a hitch. This entry was posted in Business on July 28, 2016 by Domingo.